Surrounded by swaying palm trees under the warmth of the Orlando sun, Sheraton Vistana Fountains II Villas offers a relaxing experience with an unbeatable location near the city’s major theme parks. 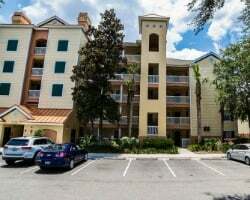 SellMyTimeshareNow.com can find you a timeshare resale or rental at up to 70% off the retail price. 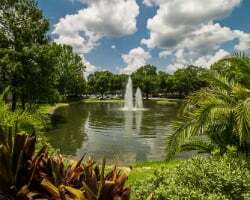 There’s no other resort in Orlando quite like Sheraton Vistana Resort Fountains Villas 2. Located in the tourism capital of the country, the resort features an amazing experience that will have you dreaming about your vacation all year long. Sheraton Vistana Fountains II Villas is only a couple short miles away from the Happiest Place on Earth—Walt Disney World—and only a ten-minute drive down the road from Orlando’s other amazing attractions like Universal Studios and SeaWorld. At Sheraton Vistana Resort Fountains Villas 2, you’ll be staying in a cozy two-bedroom unit with bright, soft colors to optimize your relaxation. Each unit comes with incredible amenities such as a full kitchen, spacious living room with a pull-out sofa bed, a whirlpool tub in the master bath, and a rustic dining room area great for enjoying home cooked meals. Whether you’re taking the family out for a well-deserved vacation, having fun with a handful of friends, or embarking on brand new adventures with the special someone, Sheraton Vistana Resort Fountains II Villas will ensure that your vacations will create some of your life’s greatest memories. With a timeshare resale at Sheraton Vistana Resort Fountains II Villas, you’ll be saving thousands of dollars while still enjoying some of the finest resort amenities and accommodations in all of Orlando. Timeshare resales are for-sale-by-owner; you’ll be purchasing your property directly from the current owner, which could save you up to 70% off what the developer is asking for. Through this process, you avoid any hidden fees, paying a price that has been fairly assessed against the current trends of the secondary market. Owners have a number of ownership options that allow them to adhere to the flexibility of their vacation schedules. The resort offers deeded fixed or floating weeks which can be used annually, biannually, or biennially. Should you choose to purchase a floating timeshare week, you’ll be able to choose to vacation in any season, including Platinum, the resort’s most desired season. Sheraton Vistana Resort Fountains Villas 2 is one of the many great resorts included in the Starwood Vacation Ownership catalog. Starwood is a leader in timeshare ownerships and features a catalog with a reputation for luxurious accommodations and cost-efficient prices. Starwood owns smaller brands such as Sheraton and Westin properties and is a direct affiliate with Vistana Signature Experiences. 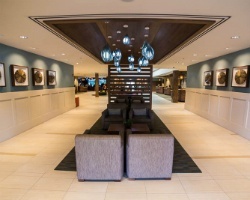 Learn the ins-and-outs of Starwood Vacation Ownership at our information center. Gain access to thousands of resorts in dozens of different countries all over the world. Sheraton Fountains Villas Phase Two owners can purchase memberships to the two leading external timeshare exchange companies in the industry, RCI and Interval International. RCI and II offer a plethora of different resort brands including Sheraton to choose from. Because of the high demand for Sheraton Vistana Fountains Villas 2 properties, the resort has been given the status of “RCI Gold Crown Resort" and “Interval International Premier Resort", allowing owners a high trading advantage in the exchange program. Sheraton Vistana Resort offers many great on-site amenities and Fountains Villas 2 is a unique area to vacation. 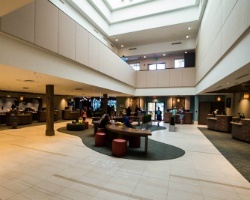 Enjoy recreational fun at the basketball, volleyball, and shuffleboard courts or challenge your friends and family to some arcade games in the game room. Grill stations are plentiful around the area for you to cook up a nice barbecue lunch for a family and loved ones. Take a dip in the lovely Fountains pool and enjoy a snack and a beverage over at the Tacky Tiki Bar and Grill where you can enjoy nice American fare with a great view of the pool. Stay active at the fitness center, then unwind at the massage parlor. The little ones will enjoy a number of great activities offered near the area including the interactive pirate ship in the pools, the fun playground, and the Sheraton Kids Club and Teen Activities. Give your children some time to meet and play with other kids during organized, fun activities while the parents take a much deserved break to have some adult-oriented fun. Already Own at Sheraton Vistana Resort - Fountains II Villas?